ANS:Medicinal plants: Some members are used as medicinal plants. Aconitwn yields an alkaloid aconitina. Thu ields mamira. It is used in the treatment of ophthahnia. Some members arc used as condiments. For example, seeds of !Vigella. It is also used as drugs. Give botanical names of two plants of family Ranunculaceae. ANS:Ranunculus nturiertlav. Butter cup. Delphinium Maces. Larkspur. Give distribution pattern of family Ranunculaceae. It is a large family. It has 20 genera and 1200 species. It is mostly distributed in colder regions. Its members are vastly found in Himalayan region of Pakistan and India. 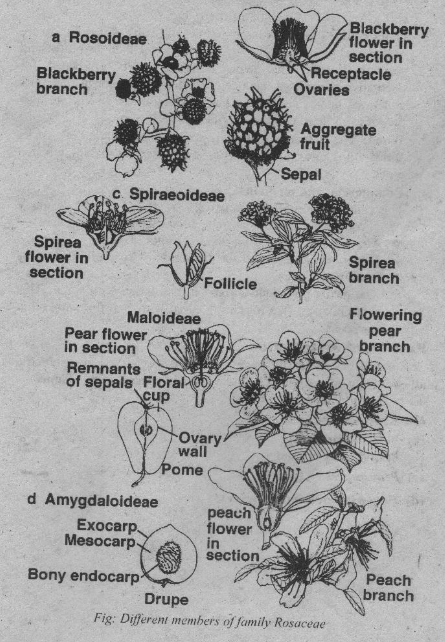 Write floral formula of family Brassicaceae. Give uses of members of family Brassicaceae as vegetables. 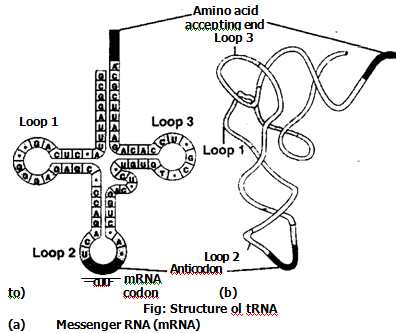 ANS:File roots, leaves and fruits and inflorescence of many plants of this family are used asN egetable. Example: radish, turnip. cabbage, cauliflower etc. Write botanical names of two plants of family’ Br–ssicaceae. ANS:Brassier: eampestriv (Mostard Brassica napus(turnip). Give distribution pattern of family Brassicaceae. It is a large family. It includes about 200 genera and 2000 species. They are mostly found in temperate regions of the Northern Hemisphere Some species are also found in tropical areas. Give use of members of family Fabaceae in food and fodder. Most of the important pulses are belonged to this family.These pulses are used as food. Pulses are rich in proteins. The common species of pulses are Gram, Pea, and Kidney bean. Fodders: Medicago sativa (Alfalfa) is one of the best forage crops. Vicia Melilotu and Trifolium are also cultivated as main lbdder crops. Name four plants of family Fabaceae. Write floral formula of family Rosaceae. Name some fruits belongs to family Rosaceae. Ans: Many fruits are obtained from the plants of this famil). Some important fruits ale Apple. Pear. Almond. Peach. Apricot. and stawbery etc. Give distribution pattern of family Rosaceae. Ans: family has about 100 genera and 2000 species. It is distributed all over the world. About 29 genera and 213 species of this family are present in Pakistan. Name four plants of family Rosaceae. Give use of members of family Euphorbiaceae. Ans: Poisons: ‘Mc milks juice of many plants like Ihmiluil. Ilercurialls. has dead poisons. Some are very dangerous for stomach. Some can cause blindness of eyes: Therelbre, these poisons are used for murder and suicides. I hese are also used to kill some insects. Give distribution pattern of family luphorbiaceat. ANs:This family has world w ide distribution. Most of its plants are xerophytes. They are found in deserts. Some species are common in tropical areas. Name two plants of family Euphorbiaceae. Give medicinal uses of family Rataceae. Ans: Most of the plants of this family have medicinal importance. Their fruits are rich in vitamins and minerals. Most of vitamin C’ is extracted from these fruits. Leigh, gives tannic acid. Leaves of Aberrant koenigii are used in flavoring..Fhe twigs of Zonthavykun (datum are used as tooth brushes. Oil of lemon is used in the preparation of mosquito oil. Give distribution pattern of family Rutaceae. has 120 genera and 000 species. They are mostly distributed in tropical and ternpcotc regions. Name two members of family Rutaceae. Give role of Moraceae in the cultivation of silk worm? worms. Silk worms produce silk which has great commercial value. Give distribution pattern of family Maraceae. mostly distributed in tropical areas. Sonic species are also found in temperate region. Name two members of family Moraceae. Give habit of family Chenopodiaccae. Ans: Annual, or perennial herbs: very rare shrubs, or tree. Most of the plants are halophytes (salt tolerant). ‘They.’ have xerophytic characteristics. ‘Noy grow on saline soil. Give use of members of family Chenopodiaceae as vegetables. leaves and stems are succulents and used as green vegetables. Sonic of these are: spinach. Chenopoclium album. and garden beet. Give distribution pattern of family Chenopodiaceae. Ans: This family consists of 102 genera and 1400 species. It hasworldwide distribution. Its members are abundantly found in sea shore and marsh) places. Name two plants of family Chenopodiacea. Give floral formulas of family Cucurbitaceae. Give uses of members of family Cucurbitaceae as vegetables. Give distribution pattern of family Cucurbitaceae. Ans: This family has 100 genera and 850 species. Most of the plants are tropical and sub-tropical. Some species are temperate. Name two plants of family Cucurbitaceae. Give medicinal uses of family Solanaceae. Ans: Many members of this family produce powerful alkaloids. e.g. Atropa belladonna, Datum arc rich in atropine and daturines. These are used in many medicines. Give distribution pattern of family Solanaceae. Ans: Ibis family has about 90 genera and 2090 species. These plants are distributed in temperate– and tropical areas. 14 genera and 52 species of this family are present in Pakistan. Name two plants of family Solanaceae. Give distribution pattern of family Lamiaceae. Ans: It is a large famil). It has 200 genera and 3000 species. It isdistributed all o’er the world. Name two species of family Lamiaceae. Give Heterogamous arrangement of flowers in Asteraceat. in this case, two types of flowers are present in the capitula. Example: Sunflower. Sunflower has two types of small flowers, disc florets and ray florets. The disc florets are present in the central region. They are tubular and bisexual. The ray florets are present towards the periphery. They are pistillate or neuter. Give distribution pattern of family Asteraceae. Ans: It is the largest family of Angiosperms. It has more than 1000 genera and 93000 species. It is distribute all parts of the world. Name two species of family Asteracette. Give distribuEon pattern of family Liliaceae. Ans: It is one of the largest families of angiosperms. It has 200 genera and 2600 species. It is distributed all over the %odd. But its members are especially abundant in sub-tropical and temperate regions. Name two members of family Liliaceae. Give inflorescence in family Poaceae. Ans: Spike of spikelets or panicles of spiklets. Each spiklet is composed of 2-5 flowers. It is enclosed by a pair of bracts called glumes. sessile manner on main axis as in wheat.Panicles of spikelets: The spiklets are arranged on a branched axis-panicle as in oat. Give floral characteristics of family Poaceae. Ans: Pedicillate: bracteate. iV‘o bracts palea and lem ma enclose flower or floret: lemma contain bristle like an ns zygomorpnie: incomplete: unisexual or hermaphrodite: hypogynous. Give importance of family Poaceae for foods. the basic food of mankind. These plants are: Tirticum sp (Wheat). Avena saliva (oat). Zea mays (corn). Oryza sativa (rice), 119rdeum vulgare (barley). Scale cereale (rye), Penisetum .yphoideum Sorghum vulgare. Give distribution pattern of family Poaceae. Ans: This family is distributed throughout the world. It has 600 genera and 10,000 species. There are 158 genera and 492 species of this famils in Pakistan.